BUFFALO, N.Y. -- U.S. Attorney James P. Kennedy, Jr. announced today that Marcel Worthy, aka Cheese, 32, of Buffalo, NY, who was convicted of racketeering conspiracy involving five kilograms or more of cocaine and murder, and conspiracy to possess with intent to distribute, and to distribute, five kilograms or more of cocaine, was sentenced by U.S. District Judge Richard J. Arcara to serve 240 months in federal prison. Assistant U.S. 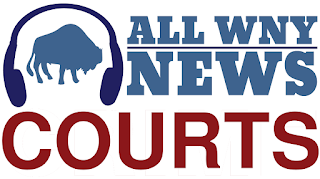 Attorneys Wei Xiang and Paul Parisi, who handled the case, stated that on December 17, 2006, Worthy and an associate were involved in a confrontation with a group of individuals at a gas station at Grider Street and East Delavan Avenue in Buffalo. As the individuals walked away, the defendant drove after them. Seeing the individuals in the vicinity of 82 Durham Avenue, Worthy stopped his vehicle and his associate shot and killed Kevin Gray. In addition to participating in the murder of Kevin Gray, the defendant also sold marijuana. The Schuele Boys Gang, which operated in the Schuele Street area of the East Side of Buffalo, was responsible for multiple acts of violence and the distribution of illegal narcotics including cocaine, crack cocaine, and marijuana. The Schuele Boys Gang was also responsible for the murder of Quincy Balance in August 2012. Worthy is one of 28 Schuele Boys Gang members and associates arrested and convicted in this case. The sentencing is the result of an investigation by the FBI Safe Streets Task Force, under the direction of Special Agent-in-Charge Gary Loeffert; the Buffalo Police Department, under the direction of Commissioner Byron Lockwood; the Drug Enforcement Administration, under the direction of Special Agent-in-Charge James J. Hunt, New York Field Division; and the New York State Police, under the direction of Major Edward Kennedy. Additional assistance was provided by the Erie County District Attorney’s Office, under the direction of District Attorney John Flynn; the Edinboro University Police Department in Pennsylvania; the West Tennessee Judicial Drug Task Force; the City of McAllen, Texas Police Department; HSI Harlingen, Texas; and the FBI offices in Houston, Texas and Jackson, Mississippi.